SSVM World School , Coimbatore , India orgainzed a mass balloon release recently on their Sports Day, one of its kind and hitherto unheard of in our country! One will find no words to describe how much the children and the parents enjoyed the unique event! 1) All balloons that were released were only latex balloons made of natural rubber, that are 100% bio degradable. All the balloons were self-tied. Threads, ribbons etc were not attached to the balloons, as these are not bio degradable. 2) In case of mass balloon releases, the released balloons should be hand-tied, knotted and contained inside a bag or net before being released en mass. Specially made balloon nets were used for the purpose. 4) One should always use Helium to make the balloons float. 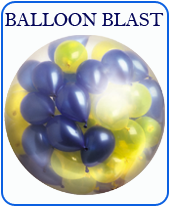 Do not use Hydrogen gas to fill the balloons as Hydrogen is highly dangerous as it could burn and cause explosions. Hydrogen is a flammable gas. On the other hand , Helium is a colourless, odorless and tasteless non poisonous, non-flammable, non-toxic naturally occurring and environment friendly gas, that often used to fill balloons to make them fly. It is also called a noble gas. Many in India use Hydrogen Gas in balloons as it costs very less. Hydrogen is abundant on Earth and hence cheaper whereas Helium is rare on earth and hence is expensive. When it comes to keeping the kids safe, SSVM school, one of the very best schools in India, always leads by example and takes extra precautions! 5) Conwin’s USA Made Dual speed, Certified Helium regulators were used to complete the inflation in time. 6) In short all the right equipment were used for mass balloon releases and the international rules on balloon release were religiously followed!